Taking a bath during winter or just on cold nights can be a nightmare, especially when you are not used to it. This is also true for washing dishes, clothes, and more. This is the main reason why most households in cold areas are packed with water heaters. These water heaters can help circulate warmth into the water supply for warmer showers and cleaning as well as also help warm up the room. However, choosing which one to buy can be quite confusing, especially with the many product scams and rip-offs that exist. No worries though because this article will help you get acquainted with some top heaters that you can choose from. 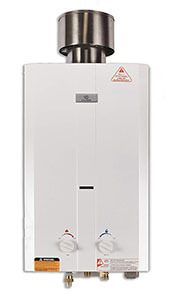 One of the top tankless gas water heaters today is the Rinnai RUC98iN from the brand’s Ultra series. The gas heater is recommended for both residential and commercial use. It runs on propane or natural gas and is 26 x 10 inches in dimension. High flow rate ratio: The RUC98iNpacks a flow rate of up to 9.8 GPM and 199,000 BTU at maximum. This high rate makes it possible for the heater to supply hot water to multiple outlets all at once, such as multiple showers, taps, or a combination of both. Flexible PVC venting: Most tankless units are exclusive to one venting installation type. However, the product gives two options for owners: concentric or twin-pipe. Low to no noise: Some similarly-sized heaters make loud noises when operated. However, the product is designed to provide less noise as much as possible that owners may not even notice it is running if not for the red indicator light. Energy Saver: The RUC98iN runs on natural gas which saves more energy than those electric ones. It also has higher heat capacity which cuts on the cost of repairs due to overheating. Drawback: Although the product is highly-efficient, its 61.7-pound weight makes it a bit heavy so installation at high altitude can be quite tricky. Another gas heater that makes an excellent choice to consider is the Rheem RTGH-95DVLN 9.5 GPM Indoor Heater. 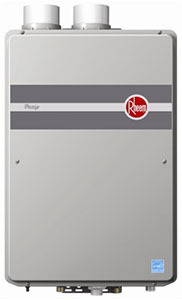 The heater is part of the Rheem’s Prestige series that is one of the best gas tankless water heaters today, especially for use in the home, and other small areas. Flexible: The RTGH-95DVLN can be used with indoor or outdoor venting as well as ventless installation. High and low flow rate: With its high flow rate at a maximum of 9.5 GPM, it can deliver sufficient water supply to houses with multiple bathrooms. However, the system can also work even the demand is low with its minimum allowable 0.26 GPM flow rate. Self-check: The product has a self-diagnostic system and a maintenance notification setting that alerts owners every 500 hours or as needed for maintenance checking. Recirculation Kit: With its recirculation pump, hot water delivery is fast with a saving matrix of up to 12,000 gallons per year. Drawback: Although the product is good for supplying hot water to showers and taps, it does not work as well with high-efficiency dishwashers and clothes washers. The product, Eccotemp i12 tankless indoor heater, is another one of the best gas water heaters to consider. The product is packed with a revolutionary design that settles well with its 16 x 16 x 11 inches dimension. It also has a ½-inch fitting which is compatible with most standard fixtures. LED display: Another feature that adds convenience to the product is its LED display which shows the temperature and flow rate clearly instead of metered gauges. Automatic temperature controls: The product comes with automatic temperature settings which makes it convenient for owners to operate the product. An initial set up of the temperature preferred is all that is needed, and the heater will the rest. Acrylic glass casing: Unlike most of the best commercial tankless gas heaters out there, the heater has a black glass casing made of acrylic. The glass casing coupled with the 30-pound weight makes it lighter without compromising safety. Energy-efficient: The product only pulls about 1.07 amps when running and 2 watts idle, so it is not a power hog like other heaters of similar type. This low power consumption makes it ideal for those who want to cut on electric bills. Drawback: Despite its revolutionary design and noteworthy features, the Eccotemp i12-NG only supports a maximum of 3 GPM so it cannot be used to supply hot water to more than 2 faucets or two showers at a time. 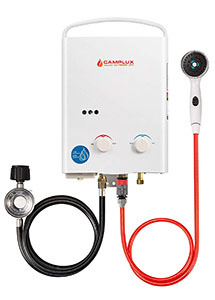 The Camplux 5L is another tankless gas water heater that is worthy to be considered, especially if you are fond of traveling to places that require water heating if it is not provided. The product is specifically designed to meet portability demands at its optimum need. No venting required: Since the item is portable, there is no need to invest on venting unless you wish to put up the product as a fixed heater on your wall. Low-pressure startup: The Camplux 5L is said to be one of the heaters that require the least water pressure needed to start. With just a 2.5 PSI, you can operate the heater to send out hot water to up to 1.2 GPM. Portable: One of the main reasons why this product is popular is one of the best gas tankless water heaters because of its portability. The compact frame and installed handles makes this product easy to carry and mount, especially when going camping, to the beach or anywhere for vacation. Flexible ignition: When there no is electricity, most heaters cannot operate. However, the 5L can be operated with 2 D-class batteries so it is usable with or without electricity. Drawback: It is important to note that though the product is a viable heater, the 1.2 GPM may not be enough, especially for households requiring multiple hot water supply. The flow rate of the hot water is also slower than most. The L10 is another one of the best gas water heaters from Eccotemp that is worthy of consideration. It is initially marketed as a portable heater but is most recommended for outdoor installation due to its rugged design. It also has a2.5 GPM delivery which allows multiple deliveries at once. 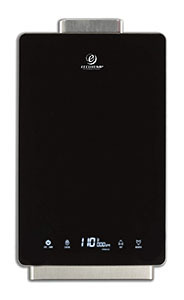 Battery capable: When there is no electricity available, most heaters cannot operate. However, with the L10 operation is still possible with its D-cell battery compatibility. Two D-cell batteries are needed to provide power for ignition. Easy set-up: The heater is very portable. However, it is best to be used as a permanent outdoor fixture. The product has all the necessary accessories that are all CSA approved to make outdoor installation as seamless as possible. 1/2-inch fitting: As one of the best portable tankless heater out there, the L10 has a half inch water fitting which is compatible with most of the standard fixtures used so owners do not have to worry about converting their fittings. Safety shut-off: The product has an automatic safety shutoff mechanism that activates every 20 minutes to avoid overheating and any compromise on safety. Drawback: With its high GPM ratio, the product is good for multiple hot water demand. However, despite that, the product can heat faster and is recommended to be used at low flow rates. 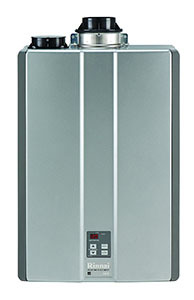 The GCR-40 ProMax is one of the best 40-gallon gas water heaters out there. The product is one of the more popular heaters from AO Smith and operates solely on natural gas. The 40-gallon capacity is housed inside a 22 x 22 x58.5 inches metal body. Corrosion resistance: The GCR-40 from the ProMax series is made with an infused inner blue diamond glass coating which prevents the inside from corroding as much and as fast as other metal gas heaters. 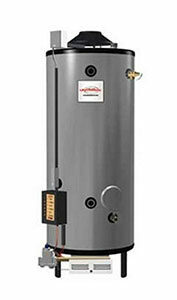 Self-powered valve: As one of the best commercial gas water heaters out there, the product has a self-powered valve that uses thermopile technology to operate the electronic gas control without needing any external electricity supply. Lime and build-up reduction: The heater has aDynaclean diffuser tube with PEX polymer construction that helps reduce the build-up of sediments and time for maximum water delivery. Built-in microprocessor: The product also has a built-in microprocessor which makes it easier to generate a faster and more precise heating response. Drawback: The products weigh about 165 pounds, so it is quite heavy making it less compatible for wall installation. 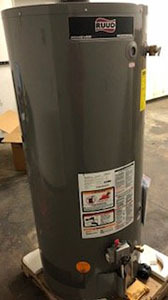 One of the best 50-gallon gas water heaters out there is the XCG-50 from the ProMax series of AO Smith. The product packs an economical design that supports reliable performance along with the key features added in to ensure good user experience. Corrosion resistant inner coating: The XCG-50 from AO Smith is built with an inner coating that highly corrosion-resistant compared to others which demand less maintenance and longer life. Less build-up of sediments and limes: Like others in the line, the product is packed with a Dynaclean diffuser tube that prevents the build-up of mineral sediments. This makes the product ideal for homes with hard water, or water high in mineral content. Self-efficient gas valves: The heater also has a self-efficient gas valve that is self-powered, despite its electric nature, which does not need electricity supplied from outside. Internal microprocessor: The internal microprocessor of the product supplies more efficient differentials which add sensitivity for faster heat response. Drawback: The product is tall at 60.8 inches high and weighs around 168 pounds. Although it can be mounted at high altitudes, it can be quite tricky because of the heavy weight and tall body. If you are looking for a heavy-duty gas heater that can support high demands for hot water, then the RUUD PRO+G75 can be an excellent choice. The heater is one of the best 75-gallon gas heaters out there. Heavy-duty performance: The product is built for heavy-duty demands. The product can supply hot water to up to 127 gallons at the first hour of operation or around 2.1 GPM and recovers with 72.8 GPH. This makes it ideal for households that need multiple hot gallons of water supplied at once. Guardian system: The heater has a self-diagnostic system that conducts diagnostic checks to help in the monitoring of system functions. The product also has a flammable vapor detector that automatically shuts off the heater when the accumulation of flammable vapor is detected. Eco-friendly: The heater is highly eco-friendly due to its environment grade burner and low noise emission. Flexible venting: The heater provides several venting options. It is compatible with concentric, vertical, horizontal, PVC, CPVC or ABS pipe venting. Drawback: Despite the flexible venting options, the product’s26.25 x 26.25 x 64 inches dimension and around 360 pounds weight makes it one of the bulkier heaters on this list. This may make a bit tricky to install. Another excellent product from Rheem comes from the brand’s Universal line. The Rheem G100-200 gas heater is one of the best commercial gas water heater for sale today that is designed with performance and convenience in mind. Diagnostic system. The G100-200 has a diagnostic system that helps monitor and verify the system functions for optimum performance. The system also comes together with the Spark-to-Pilot system that activates pilot ignition when needed while saving energy. Space saving design: The heater is designed to fit optimum performance within the metal framing. The installation inlets and outlets are also fixed strategically for easy installation. Stainless steel burners. The natural gas heater also comes with top-grade chromium stainless steel burners that help promote precise heating performance. The burners are also designed to slide out easily for easier checking and maintenance. Heavy-duty vent hood: The hood of the product is optimized to withstand rigorous installations. The product also comes with a drain valve setting that makes it easier to drain and maintain the valves. Drawback: The product weighs around 780 pounds and is 66 inches high which makes it a bit difficult to install especially in small spaces. Indeed, water heaters, whether gas, electric or hybrid are essential to have in every home to provide hot water, especially if you live in a cold region or countries with winters. Therefore, it is essential that you know which one is best to buy for your needs. This means that you take into considerations some crucial factors like cost, quality, type, area to be heated, material, dimensions, venting options, and more. Knowing these things will make it easier for you to choose the best gas water heater, electric water heater, or hybrid water heater for you. If you plan to make your purchase, consider the items featured above and examine each of their features, pros, and cons carefully to judge which one suits you best. All the mentioned items are top sellers in the heater market today in terms of optimum performance, security and other factors. 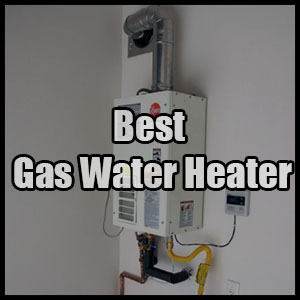 Feel free to contact us when you need help picking the best gas water heater for your home. If you are searching for the best natural gas tankless water heater click here.